One of the things on my bucket list is learning how to fly fish. I've fished Placid Lake since I was a little girl sitting on my Dad's lap, but have never fly fished. I've watched enviously from the banks of the West Branch of the Ausable River, as others cast their lines in the legendary, trophy fish waters between Lake Placid and Wilmington. This year I intend to take the plunge (pardon the pun) and do it. But I've decided I'm going to learn to tie flies first. I'm kind of going about it backwards as most people learn how to fish before they learn to tie flies. 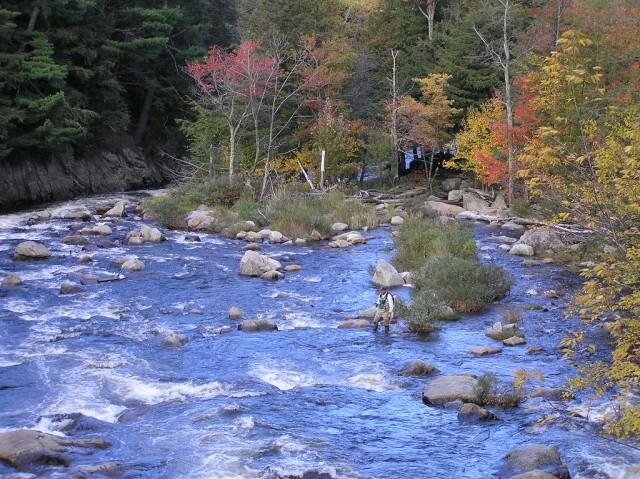 One of the necessities of the fly fisher's tackle box here in the Whiteface Region is a supply of flies specifically designed to attract fish on this iconic river. 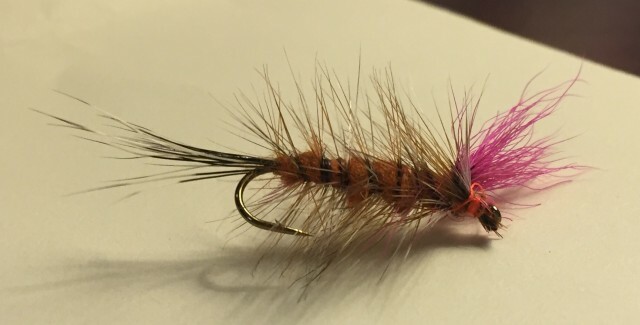 The flies proven to be some of the best for this are flies designed by the legendary Fran Betters. Fran was the king of fly fishing in this region and is widely renowned as the preeminent expert in the field. Unfortunately, Fran passed away several years ago, so I couldn't go to him for my first fly fishing or tying lesson. Luckily Fran passed his knowledge and secrets on to many people and wrote some books on the art of fly-tying. I contacted Evan Bottcher at the Hungry Trout Fly Shop, who referred me to one of their expert fishing guides, Matt DeLorenzo. Matt has been fishing nearly his entire life having started work with his Dad in the charter boat business in Western New York. Matt moved to the Whiteface Region several years ago. A prolific fly-tyer, Matt was the perfect choice to teach me the basics of this complex hobby (or livelihood, for some). There are also many more tools one can invest in, but these are the basics. In searching the internet for tools, I found you can actually purchase a set of basic tools fairly inexpensively. Of course, then you need a supply of all the hooks, thread, feathers, and fur to actually make a fly. That's where it gets a little pricey. Quality materials for any hobby are always a good idea. Matt told me the hardest part of tying flies is getting all that stuff to stay on the hook where you put it. I can attest, he was correct. Every fly starts with a lot of wrapping of thread around the shank of the hook, which is called laying the base. Then you start adding the pieces of feathers and animal fur that make up the design of the body of the fly - you know, the stuff that gets a fish interested enough to actually take the hook you're floating on the water in front of it. What the fish sees from under the water is totally different from what we see of the fly floating on the water. You have to do a lot of wrapping of thread around a tiny hook about an inch long. Luckily there's a very adjustable vice made specifically for fly-tying that holds the hook just where you need it, allowing you to wrap and not have to hold the hook in your fingers. After wrapping the hook with thread, then you start "laying down" the pieces of hair and fur, making it look like a bug. There are various kinds of hair and fur used for different flies. This one uses woodchuck guard hairs for the tail of the fly. It kinda looks like raccoon. All you have to do is set a small amount of the guard hairs on the fly and wrap thread around it. Not as easy at it sounds! On top of that, more fur is added in layers, using various techniques until you get to the part that makes the fly really float. To make a shorter story of the long process, I wrapped and added fur and hair, and manipulated said hair and fur in various techniques, until I had an actual, honest to goodness fly of my own, somewhat mimicking Fran Betters famous Ausable Bomber. While I won't win any awards for this first fly, I'm really proud of it, and Matt told me I would "catch a fish for sure" with it! If you've been thinking about learning to tie flies (and you don't have to be an angler to tie flies), make sure to contact Matt or one of the other experts at Hungry Trout Fly Shop in Wilmington. Matt gives lessons and is also a part of the lineup of expert fishing guides available at Hungry Trout. Fishing season is just getting going, so come on out and pay a visit, cast a line, and catch one of our trophy fish from the West Branch of the Ausable River. And then you'll get the bug to tie a fly. 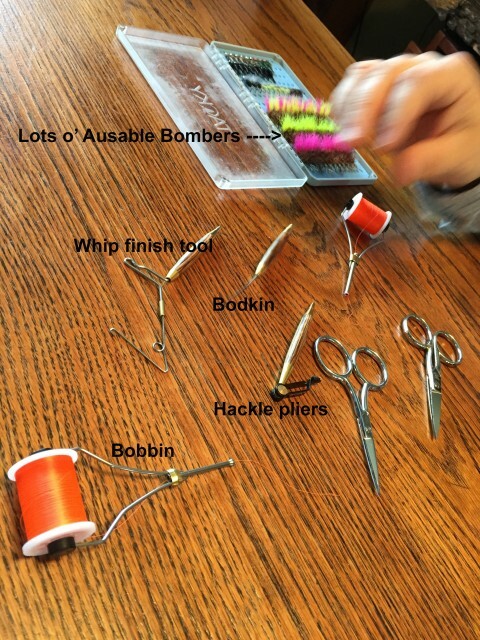 For additional history and basics about Fran Betters' famous Ausable flies, check out this recent blog. Spend a night or more in the Whiteface Region. Check out all the lodging options in addition to the Hungry Trout. And, look for me on the river sometime casting my awesome Ausable Bomber! Cool canoeing. And kayaking, too.